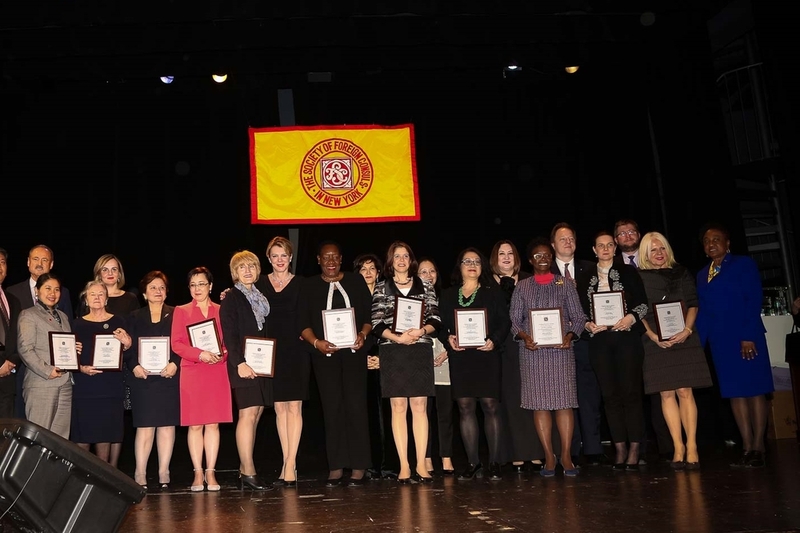 On March 18, 2016, PAFF Founder, Alexandra Borowczak was recognized by the Society of Foreign Consuls for her outstanding achievements and contribution to community empowerment. The event, hosted by the Consul General of the Czech Republic in New York, Hon. Martin Dvořák, was organized in celebration of International Women's Day. The event included twelve various Consulates - ranging from Algeria to Kazakhstan to the Philippines. Each Consulate recognized the work of one significant woman leader in their community. This annual celebration honors the commitment of women throughout the many immigrant communities in New York that help give the city its vibrancy and contribute to its diversity. It is an incredible honor for PAFF to be recognized in the company of such amazing women. We could not think of a better way to celebrate International Women's Day and Women's History Month. For more information on The Society of Foreign Consuls and this year's remaining honorees, make sure to check their website here. PAFF is thrilled to announce the launch of it's 2016 Design Competition. This annual competition will grant one lucky designer the opportunity to present their Spring/Summer 2017 collections for Polish Fashion Week (as part of New York Fashion Week). The three-month long competition will officially conclude on May 8, 2016 when a prestigious jury of some of the top names in Polish and American fashion will hand-pick one lucky winner to join us for Polish Fashion Week. The competition is currently open only to Polish designers currently living in Poland and of Polish descent. We invite all eligible designers to apply. To learn more about the competition, visit our 2016 Design Competition page here. 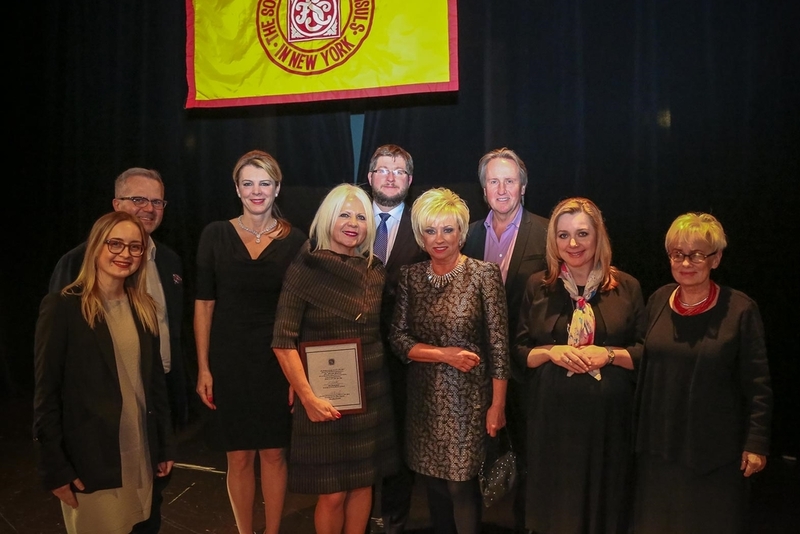 On December 21, 2015, PAFF was awarded the "Friend of the Polish Economy Award" by the Trade & Investment Sector of the Consulate General of the Republic of Poland in New York. The award is granted annually to companies that have had a profound impact on the promotion of Poland and the Polish economy oversees. Previous winners include our main sponsor, Inglot Cosmetics, as well as this year's second recipient, Google. The award ceremony took part during the Second Annual Business Gala held at the Consulate General of Poland in New York.